All Posts Tagged With: "Clarins"
CLARINSx29ROOMS TAKES CENTER STAGE DURING NEW YORK FASHION WEEK NEW YORK — September 8, 2017— Clarins, the leading skincare brand in Europe, announces its participation in Refinery29’s 29Rooms. The 2017 festival of style, culture and technology centers around the theme “Turn It Into Art” and will celebrate the transformative power of creativity in its ability to shift perception and drive change. The four day event during NYFW boasts a new roster of visionary creatives and partners, and is set to be the biggest yet. 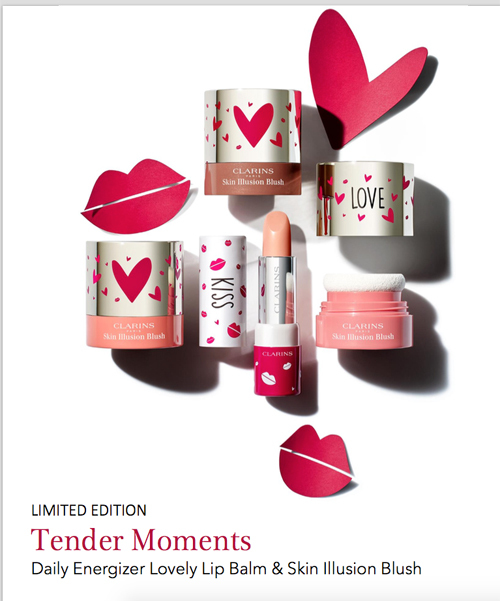 Check it out: CLARINS NEW Skin Care and Makeup launches for spring 2015. 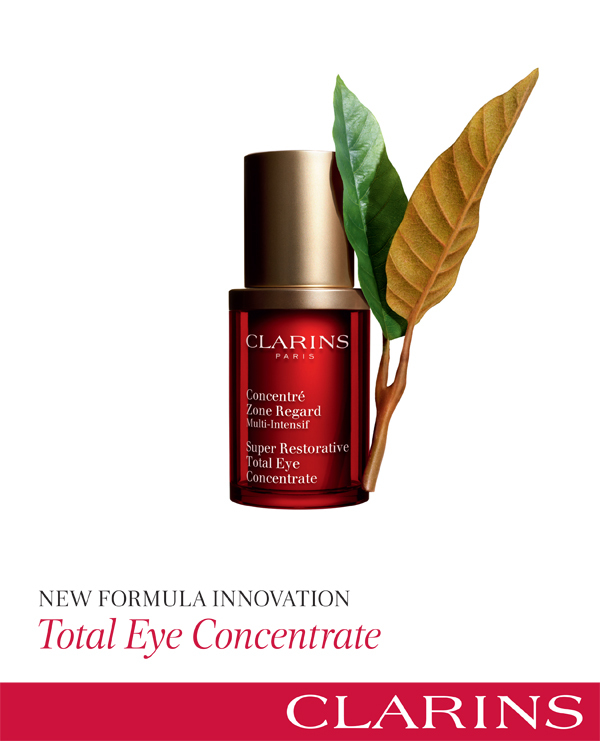 Total Eye Concentrate à an all-in-one anti-aging eye treatment with a major formula innovation that acts on all signs of aging – it’s powered by the new anti-aging ingredient called Harungana, a sustainably-harvested “healing tree” plant extract from Madagascar which has been scientifically proven to be more effective and less irritating on the skin than Retinol. It acts on all signs of aging, restoring skin density, reducing deep wrinkles, dark circles and puffiness. UV Plus Anti-Pollution Broad Spectrum SPF50 à an ultra-lightweight, triple protection sunscreen to wear on top of your daily moisturizer – it fights free radicals on the surface of the skin, anti-oxidants at a deep level of the skin, and protects against pollution. Jean Fayard, Clarins Make-up Artist, created for the makeup look for the 2013 Angel Sanchez bridal collection during bridal week which took place in New York last week. Soft, light, and romantic were the keywords of this bridal collection. Angel Sanchez worked with materials to create intricate and romantic embroideries for a timeless elegance with a unique, modern twist. Jean was inspired by Angel’s architectural creations: chic and feminine with an edge. Working with Angel, she imagined a subtle icy turquoise look based on a flawless complexion and touches of radiant light. Last night Eva Mendes became the new face of Angel by Thierry Mugler, which happens to be Marta Walsh’s signature perfume:) A glittering party was held to toast this glamorous new face. TM has the scoop on how to get Eva Mendes’ Angel makeup look. Makeup Artist Genevieve Herr primed Eva’s skin with Clarins Beauty Flash Balm and Multi-Active Day Cream. Using Thierry Mugler Beauty, she created this sultry, summer look to complement Eva’s mint green MUGLER dress. When it comes to self tanning Clarins does it best. My ultimate favorite is their Delectable Self Tanning Mousse SPF 15, if you’re looking for a non messy, super hydrating, and smell good self tanning experience then this is the one. 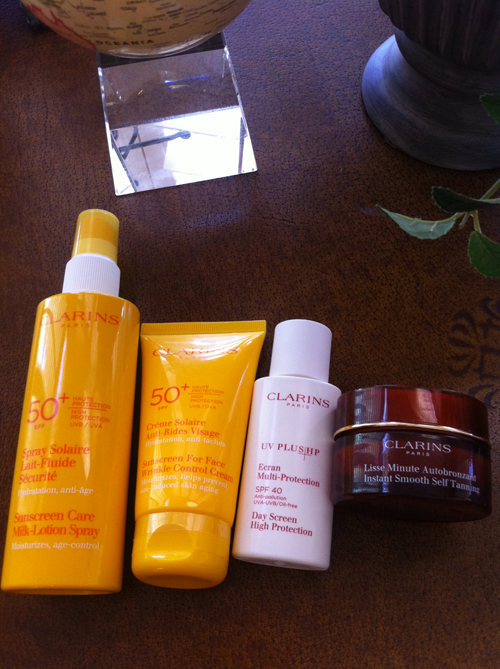 This is why I’m super excited with the latest from Clarins skincare for this summer. The NEW list from Clarins Paris L to R: Sunscreen Care Milk-Lotion Spray 50+ SPF, Sunscreen For Face Wrinkle Control Cream 50+SPF, UV PLUS HP Day Screen High Protection SPF 40, Instand Smooth Self-Tanning for face and decollate. Marta Walsh has the scoop about the gorgeous makeup look that Pati Dubroff, Clarins Celebrity Beauty Artist created for Kirsten Dunst last night at the 2011 MET Gala. Pati was inspired by Kirsten’s beautiful Chanel dress with sparkling sequins and mineral stones sewn into the bodice. She wanted these natural gems to be reflected in her makeup. Julianne Moore looked radiant last night on the red carpet of the 2011 Golden Globe Awards in a dazzling pink, Lanvin dress. Nominated for Best Actress in The Kids Are All Right, her co-star Annette Benning took home the prize for the same film. Moore’s flawless makeup was created by Pati Dubroff, Clarins Celebrity Beauty Artist. A fuchsia dress on a red head can be difficult to match makeup to, but Dubroff chose to stay within the pink family creating contrasting hues on the eye lids (soft pink) and deep, rich blackberry on the lips. Dubroff started with Clarins Instant Smooth Line Correcting Concentrate to fill any fine lines on the skin and create an even canvas. She then applied the Instant Light Complexion Perfector in Rose Shimmer along her cheekbones for glowing skin that did not cover her freckles. Next, she swept a small amount of Blush Prodige in Miami Pink on the apples of her cheeks. 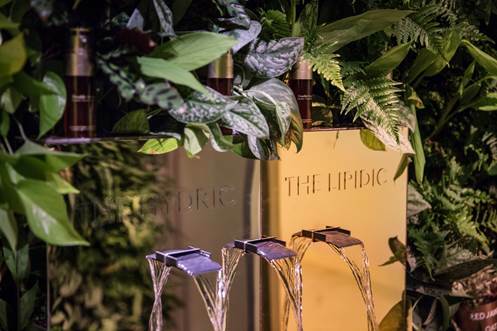 Clarins introduces Instant Smooth Line Correcting Concentrate is a portable magic wand favorite of Clarins Celebrity Beauty Artist, Pati Dubroff. Clarins new Line Correcting Concentrate can be applied directly to lines for instant touch-ups throughout the day. The high precision silicone tip targets the heart of the wrinkle to fill it in and smooth it away. Last night, November 29th, 2010, acclaimed actress, Julianne Moore arrived at the 2010 Gotham Independent Film Awards at Cipriani in NYC, wearing make-up by Clarins. Nominated for Best Ensemble Performance in The Kids Are All Right, Moore’s makeup was inspired by her Lavin dress and its rich, fall color palette. To achieve Julianne’s autumn-inspired look, Clarins Celebrity Beauty Artist, Pati Dubroff shaded her eyes with a mixture of chestnut, copper and deep gold tones using Clarins Eye Colour Quartet in Forest and Single Eye Colours in Chestnut Freeze and Gold Leaf.